Such a critical word, yet oft overlooked by today’s shortened forms of written communication. Without this word, The Pinup Pursuit will not appear in your search results, nor will The Luscious Ladies nor The Atomic Angels, nor a host of printed papers. Pivitol word indeed to get the groups and pages sought. This sign hung in my husband’s grandmother’s small studio above a doorway which overlooked her pond and vast beautiful garden. Seated at her dining table one day, I asked what it meant. Wide-eyed with a hint of drama, she stated, “The.” Upon her passing and clearing out her estate with the whole family, I decided we needed to have this curious piece on our home, where it now resides in the kitchen. Do you have the time? This hobby has cajoled in me a fantastic hunger for antique shopping, and every month I look forward to the Sacramento Antique Faire. March produced two pair of mid-century prescription eye glasses, one for sun and one not. We have yet to photograph the sun shades, however I wear them when I drive and they’re brilliant! We found these frames in fair condition and of course with the wrong prescription. Five years running Shane has begged that I have my eyes checked. I finally made an appointment with Dr. John Rosten of Dixon Eyecare Associates. This was the right place! Laura Leach-Moore, the business manager and optician, is a vintage frames enthusiast and displays her lovely collection in the waiting room. She was pleased to assist and adjust, then painstakingly clean the frames to beauty. Marvelous experience and I couldn’t recommend a better place to entrust your vintage frames. Don’t have any? Etsy, eBay and other vintage stocked websites offer countless varieties of dreams. Nothing matches trying on in-person, but finding a style you love can be painstaking. We truly did luck out finding these frames. I suppose that’s half the fun of thrift and antique shopping, finding treasures one trip at a time. Faster pace one click at a time on the internet can be amazingly fruitful, but I am wondering to what satisfaction? Slow down and enjoy the ride is a reasonable mantra. What is the appeal of pinup for women? Curves. Do those ignite discomfort similar to a carsick backseat passenger on a winding mountainous road? Flip through Vogue, and you are almost guaranteed to view one body type: long and lean. Stick figures is what comes to mind when pondering peddlers of today’s fashion. In real life, women have shape and need to think a harder about what to put on and how to best dress their unique lines. Pinup portrait posing similarly finds a beautiful curve and celebrates it. Women are not designed for low body fat percentages. Real is attractive. Fake and fantasy incubate unreal expectations and enormous disappointment. 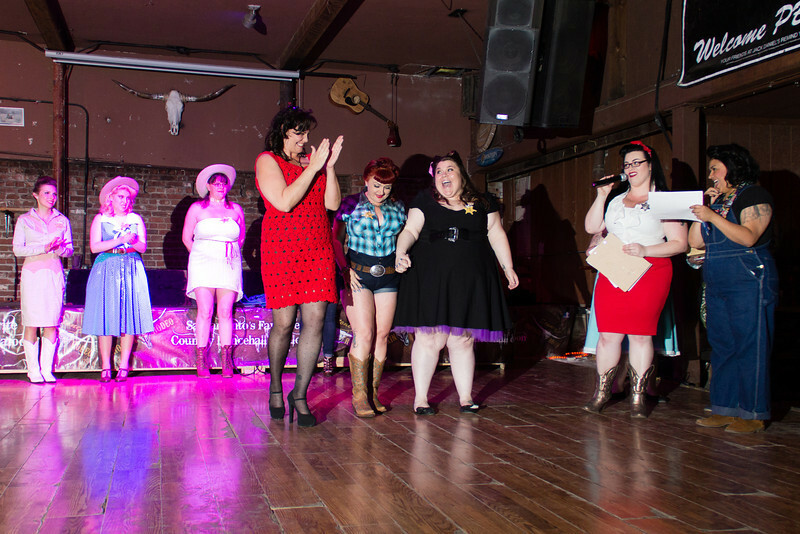 Pinup styling allows a woman to be true and to celebrate what makes her body interesting. Pinup is more “glamor” than everyday, but has much to offer in capturing an attractive angle and celebrating unique curves of the posing model. Pinup is a space in modeling where a gal with meat on her bones is even oft preferred. Think about that. We took our girl in for new tires last week. The guys at America’s Tire say they have never seen a tire just disintegrate upon removal from the wheel, but that’s just what ours did! Good thing we had these new tires put on before attempting to make the drive to Rockin Rides Sunday May 4 at the Sacramento Drive-In! Thank you, Dave at America’s Tire! Dressing vintage means owning petticoats, especially to achieve the 50s silhouette. Puffy slips are feminine, whimsical, and can help keep you warm on a cool day. Crinoline slips are popular, but after owning a few over the course of some years, I feel they loose luster. My preferred slips at the moment are nylon with many layers and a pretty show. My favorite petticoat maker is Malco Modes . This family owned business has been around since 1932 and is still making their slips in the USA! Not everyone can afford Malco Modes, especially for the one-off color slips some gals seek to match a dress. Many other-branded slips are made in China and some even charge as much as Malco. I have made such purchases and feel taken to have paid the same price for lesser quality. Whatever your budget, volumize your wardrobe! Ebay is a great place to find a bargain if that is what you seek. The difference made in your look, whether twirling about the dance floor or striking a pose at the car show, is impeccable. Hot air balloons regularly float by our home during the Spring and Summer months. I have had an idea for quite some time now to get a shot of my backside as I balance on railroad tracks and hold a parasol. However, Shane will not shoot on or near railroad tracks unless we know without a doubt they are in fact abandoned. I know of no such tracks, and see his point of view about legality and safety, though for something that is illegal I feel I see it fairly regularly. Guess we just aren’t dangerous rebels. So, as a compromise I hatched the idea of balancing on our back wall one day as the balloons, or small planes pass by. We are near the landing strip to a small airport. One in ten times a hot air balloon get close enough to our home that a great photo is possible. This past weekend, we ditched the breakfast table for a few short moments to practice capturing such a shot. I forget that I am not a fan of heights, so I sit on the wall and will need to work up to standing. Its much more narrow up there than I imagined. No hair, no makeup, just PJs and the backyard view. 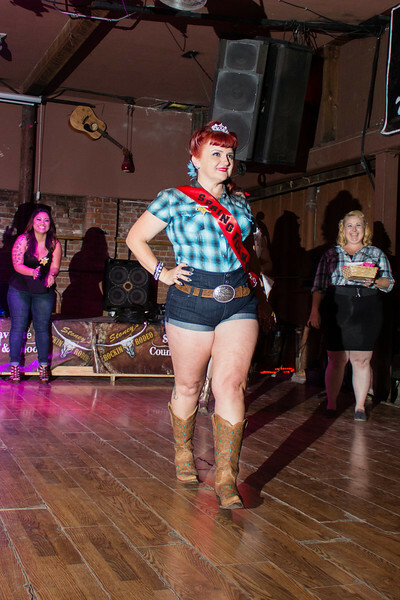 Hosted by the Atomic Angels, this is their big event of the year and held at the charming Stoney’s Rockin Rodeo. 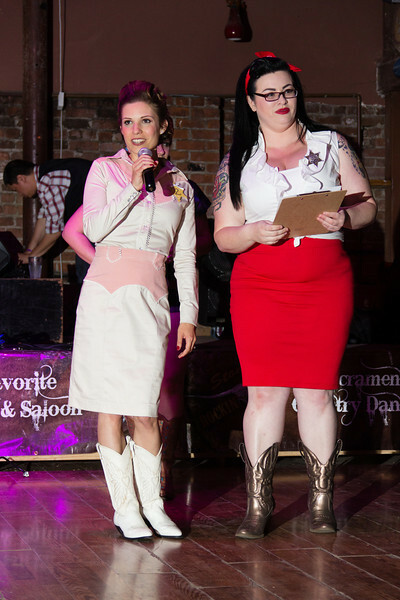 The entire week, I was in a panic trying to find a Western Swing vintage themed outfit, and speaking with fellow contestants at the event, they all were in similar straights upon receipt of the Angels’ Tuesday night instructional email. Hundreds of dollars and overnight shipping for three different pieces of western wear, I was well dressed and nervous. During the drive I felt as nervous as a girl about to be in labor! Almost told Shane to turn around a few times. Three different bands graced the stage not playing any expected country or western songs which normally fill the high ceilings over the dance floor. We attempted a few dances to help blow off some steam, but we simply are not accustomed to Rockabilly music. We dance to many types of music, but the more I learn about Rockabilly, the more I learn how much I don’t have a clue about the music despite our Lindy Hop and Country music history. The highlight of the evening for me was a conversation with Luscious Lady and hair accessories purveyor, Kim Walter. I finally got some insight into The Luscious Ladies pinup group which before seemed such a mystery. The more I learn, the more I can see us joining their events, activities already on our calendar! The contest was last for the evening. Seven contestants and I did not make the judges’ top three. The crowd was not consulted, and in an apparent shortage of time the winners were announced, all three very deserving gals. Third place is a strong, admirable woman, second place a domestic violence survivor and long time Angels supporter, and first place a wonderful woman and mother of five plus grandmother of seven who adores the pinup style and the Angels. 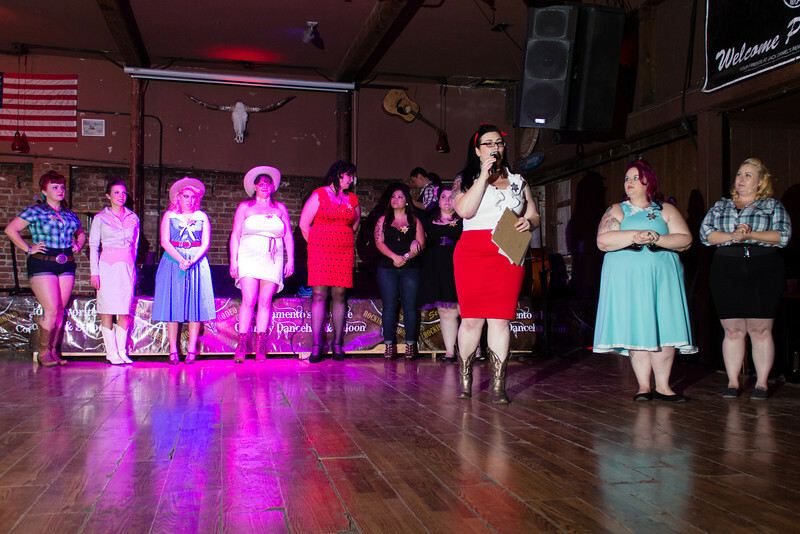 All the contestants lovely, I am sure the Angels will never be short of gals eager to join their FUNdraising efforts. WEAVE received at the end of the day just short of $1000. What a thrilling way to donate money. We managed two photo shoots at nearby abandoned George’s Oranges last weekend, and now I have photos for two more Pinup contests! Spring is proving busy for Pinup this year. I Hope our family survives! This weekend is my second Pinup contest hosted by The Atomic Angels at their annual Spring Fling. Western Swing is the theme. Round one was to accumulate “likes” on our photo entries. Rounds two and three will be to dazzle the judges, and the audience with answers to some questions though I am not certain if the audience or the judges will be the ultimate decision maker. We have no family or friends attending with us. Wish me luck! I will report how it goes! By the way, this event is also key in the Angels’ choosing new members. Many more girls are interested than spots are open, most of them around longer than the few months I have been. I did not know this until this week, but in order to join the group a potential member must have a sponsor. Sad face. I do not have high hopes that I will make it in this year, but ya never know! Pinup girl secret #1 as revealed by The Pinup Pursuit: waist cincher. Want an hourglass figure? Don’t go to the gym. You heard that right, do not work out your “core”. Muscle doesn’t squish, fat does. I recently served my friend by wearing a corset in her runway show. Laurie Tavan is located in San Jose and runs a lovely shop called Daze of Laur. She is a corset maker. What has that to do with pinup? Some folks model bedroom clothes for their pinup shots and what better than a body shaping corset? A waist cincher is basically a mini corset, but thinner and worn under the clothes to do exactly what its name entails, to cinch your waist. Popular in the 1950s for achieving a coveted hourglass silhouette, but I wouldn’t run out and buy one of these vintage dinosaurs. Its not likely to get the job done, plus wearing someone else’s underclothes is unappealing. Modern Spanx make my body look like a stuffed sausage, not serving its intended purpose to enhance figures. Try shopping for authentic vintage clothes, note what tiny waists most garments boast. Perhaps people were smaller back then. Anyone who has made an attempt to buy authentic mid-century garments has to notice how tiny the waists measure. 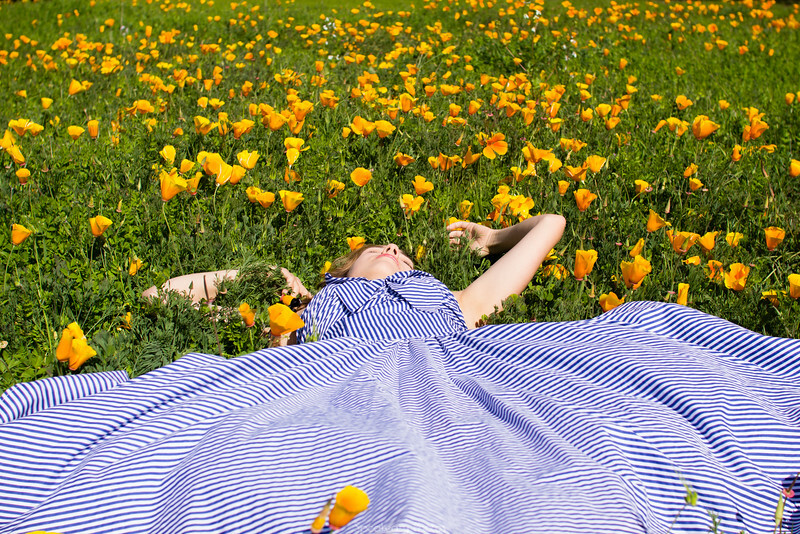 How many times have I heard or experienced, “its a great dress, but the waist…”. No more missing out on a dress for 1-3 inches too small for me! Look again at those classic pinup shots. Can you see it? She’s wearing one! Now I will have one custom made to fit my body as well. This information just opened a whole many more dress options in the vintage shop for me! Next on the list? Custom made bullet bra. First time on the runway equals one more item checked off my bucket list. Next? To be in a music video. Love.